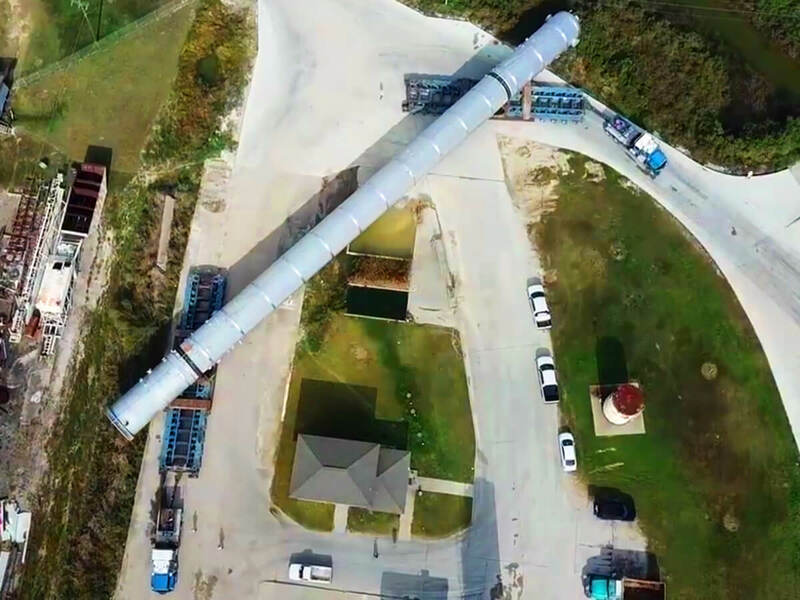 The 391-tonne tower, 81 meters long and 7 meters high, was transported across the country by our customer, Sarens, and did not face water or land challenges. The proven K24 made it possible that the long cargo with a diameter of 5.2 meters smoothly slid through the streets. The K25 is a modular platform trailer with which a wide range of transport assignments can be covered. The vehicle is used as a trailer, semi-trailer or self-propelled transporter. Steering angle of up to 60° and optimized steering geometry guarantee high manoeuvrability in the tightest of spaces.